480-456-8888 | How Pressure Washing Can Improve The Look Of Your Commercial Property. Shopping Centers And Office Parks Rely On Pressure Washing Services From A Professional Pressure Washing Company To Maintain A Positive First Impression At Your Business. Successful Property Managers Have Long Recognized That Shoppers, Guests, And Tenants Begin Making Judgments, Both Good And Bad, The Moment They Set Foot On A Property. In Today’s Challenging Economic Climate, Maintaining Clean Facilities Is No Longer Just A Good Idea, But It Is Considered A Requirement. 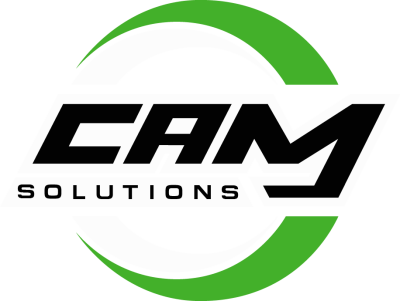 CAM Solutions Ensures Cleanliness On Your Commercial Property With Its Effective Pressure Washing Service Techniques. The Benefits Of A Pressure Washing Company Offering Professional Pressure Washing Services At Your Property Consist Of Preventing The Need To Repaint, Delaying The Decay Of Building Material, And Reducing Health Risks. Pressure Washing Services Consist Of More Than Hosing Down The Building. With The Combination Of High And Low Pressure, Producing Temperatures Up To 250 Degrees, Effective Chemical Applications And Trained Pressure Washing Company Professionals Are Able To Safely Remove Spilled Oils, Gum, Rust, And Any Other Unwanted Material At Your Property. We Can Provide Power Washing Services To Any Surface That Has The Ability To Get Wet Such As Walkways, Dumpsters, Parking Structures, Play Areas, Picnic Areas, And Much More. If Walkways Or Other Public Surfaces Are Contaminated, It May Be A Risk To A Customer’s Health. Contaminants Like Oil Spills May Pose A Problem If A Person Were To Slip And Fall On Your Property. CAM Solutions As A Professional Pressure Washing Company Can Eliminate This Problem By Offering Pressure Washing Often Enough To Eliminate Any Undesirable Spills On The Exterior Of Your Property. With Our Services, No Stain Is Too Tough To Be Eradicated. Allow Us To Be Your Premiere Pressure Washing Company.